Kimonos are a Japanese traditional wear in the form of a long robe. Now, an inspired clothing that has been given a modern twist in recent times which comes in different variations of lengths and styles. Today, I am styling a printed kimono. I went for a simple and laid back casual look pairing it with ripped jeans and sneakers. 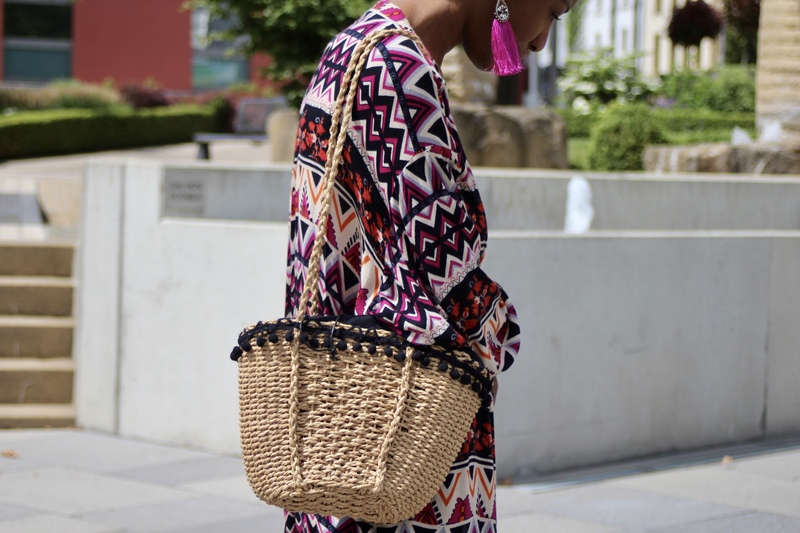 Fuchsia coloured pompom earrings and a basket bag to finish off my look. This is a perfect piece to throw over a strapless dress or vest when you feel like covering up a bit. It’s light weight and perfect for this time of the year. 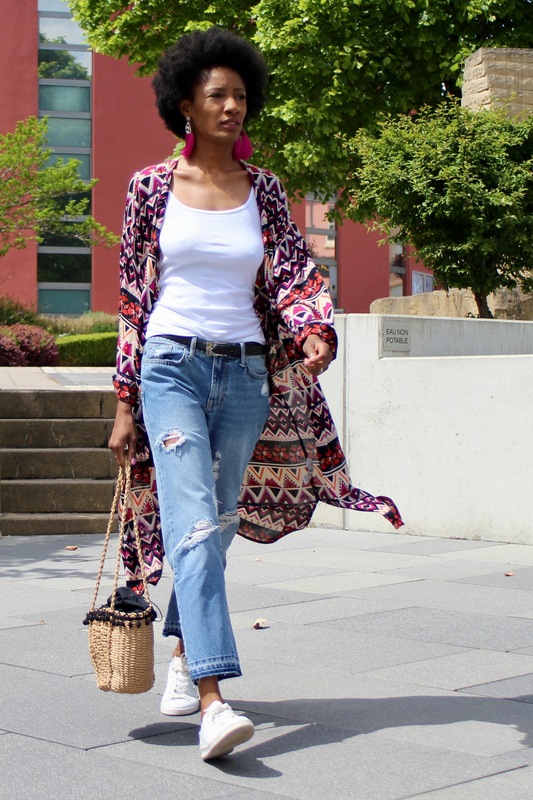 Kimonos are great because they can be worn with anything in your wardrobe from shorts, jeans, dresses and so much more. An easy and effortless addition to your outfit dressed up or down. 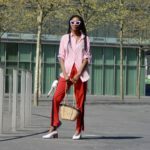 This is a past season style from Zara but I have my eyes set on some new and updated styles. This look is perfect for the weekend and easy to recreate. All you need now is a kimono and you are good to go. How cute is this pompom basket bag? 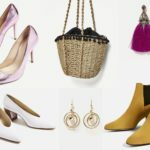 Basket bags are a great way to add a fresh look to your wardrobe. 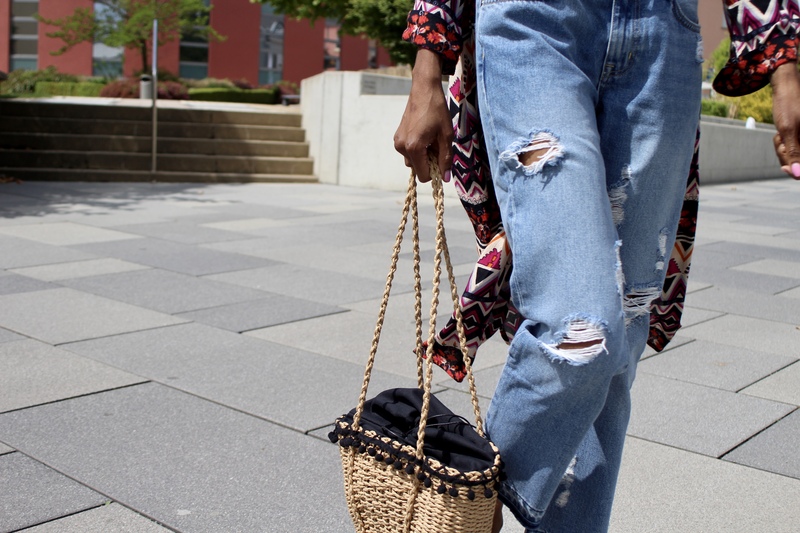 Swap your leather bags this spring/summer for a basket bag. How would you guys style a kimono? Wishing you guys a good and relaxing weekend, hopefully we will get some nice weather!